Annuals are the plant world’s equivalent of a summer romance. “Live fast and die young” applies here, as these plants move through their life cycle – growing, flowering, setting seed, and dying off – in just one season. 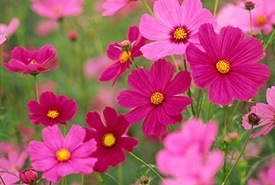 Some plants grown as single-season flowers in colder climates are perennials in warmer regions. 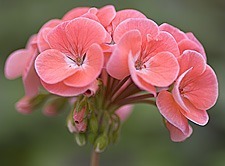 Popular bedding and container geraniums (Pelargonium species), for example. Modern annual flowers are bred for color through the season, and that makes them great supporting players for perennials. 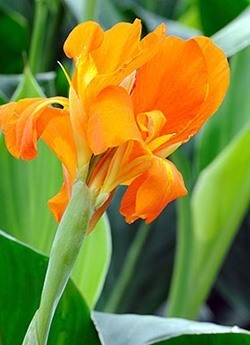 They are excellent at filling gaps when perennials are still small, and your choice of plants is almost endless. 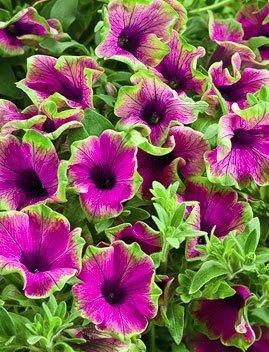 They also take a starring role in container gardening. 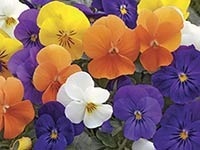 If you’re a beginner gardener, annual flowers are easy to plant and maintain, they’re the best way to get your feet wet learning the tricks of growing things. Plant tags usually tell you whether a plant prefers sun or shade. Sun means they can take sunshine all day, but they’ll also do well with four to six hours, especially if it’s in the afternoon. The important part to remember for shade plants is that they will take some sun, but not the strong sun that burns down all afternoon. Morning sun is better for these plants. Not technically annuals, but like annuals, the following summer bulbs must be replanted each season as they’re not hardy in northern regionssd.